“No,” he responded, “you just have a gift for discernment.” What a good friend. 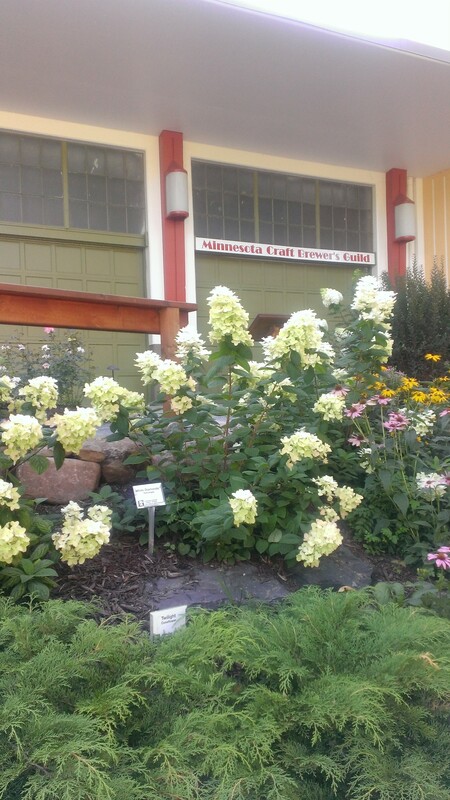 I signed up for beer discernment at the Minnesota State Fair for the very first time because more experienced brewers had told me that it is a valuable experience for developing beer tasting skills. It was pretty simple, one Google search, several pages of questions, and I was in. The judging is organized by the Primary Fermenters, a homebrew club out of the Twin Cities that has been in operation since 2008. 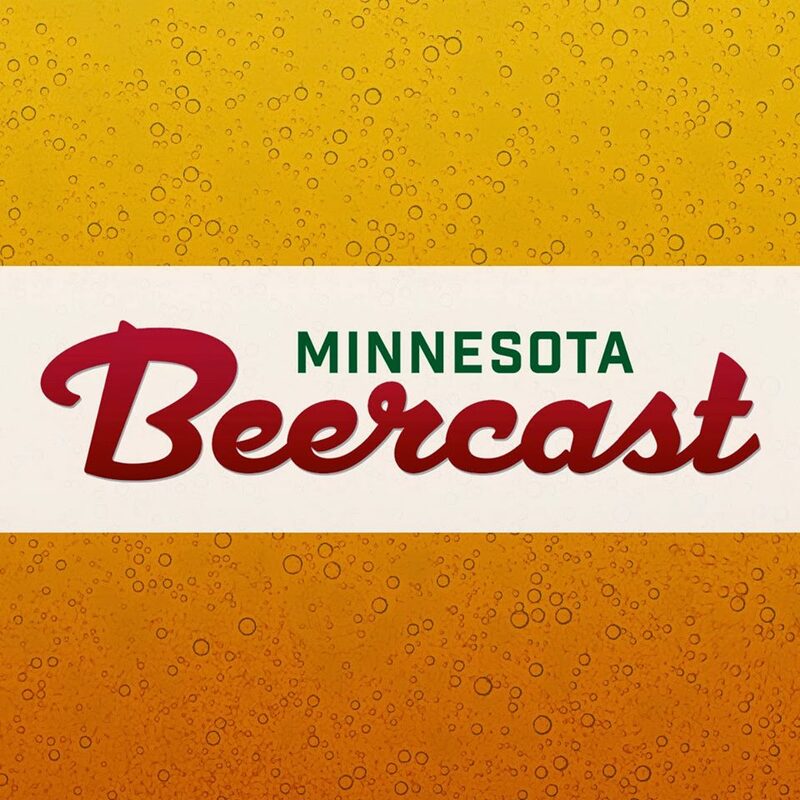 Many of their members are ranked through the Beer Judging Certification Program (BJCP), but they provide both highly BJCP-qualified as well as novice beer judges for many competitions around Minnesota. People who have been homebrewing since before it was cool, Grand Master BJCP judges, and beer aficionados gather to thoughtfully criticize, praise, and appreciate the beers submitted to the Minnesota State Fair. And each year there are novices like me that somehow survive the process. This year, over 750 beer submissions were made, narrowed to about 740 based on rules such as Minnesota residency. I signed up for two sessions on Saturday, but my first encounter with my fellow judges took place at Pour Decisions on Friday. Primary Fermenters hosted a little party for us there with free barbecue and homebrew. I ran into two friends who had just come from their first time judging. They had a positive experience, but I was getting nervous just from their advice. “You will get paired with a master judge,” and “make sure you touch on each point,” said one friend. “Remember, a score in the 30’s out of 50 is a good score.” Then came, “don’t forget to talk about every portion in your summary.” My head was spinning. I drank another beer. Driving a car through the State Fair feels a bit surreal, as does being there when it’s quiet and the bathrooms are clean. 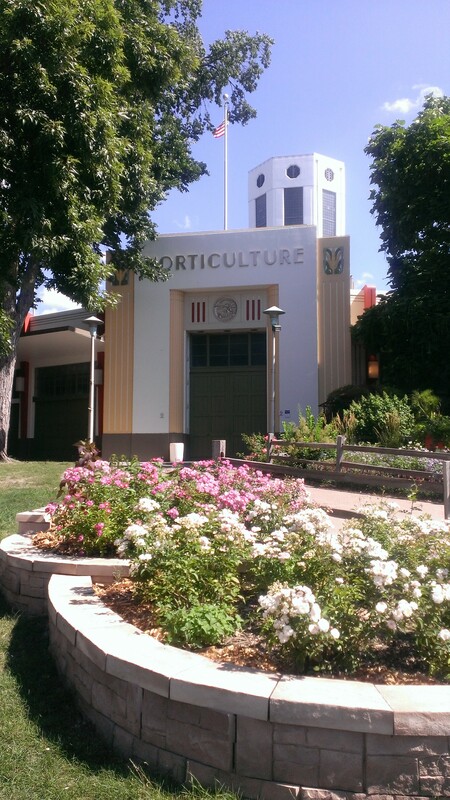 Approaching the Horticulture building, I tried to forget about my nerves and focus on learning about judging and having fun. The very mixed crowd was mingling in anticipation but the vibe was pretty mellow. I found my spot and looked over the provided mechanical pencils as though it was the morning of the ACT. The coffee and donut were helping me to relax. I found my name: my assignment was category 13 – Stouts, and my partner was Christopher Smith. As the six of us gradually filled our table, I introduced myself and confessed that it was my first time judging. There were three of us who were non-BJCP plus three highly qualified, acclaimed judges. Our steward (like a very helpful host and facilitator) Tim was also fun and helpful. I considered myself lucky to be learning from all of them. My partner Chris, a Master BJCP, has been judging beer since 2005. To my left was Steve Platz, the man who has judged more beer than anyone else in the entire state, a Grand Master BJCP. His partner Tony Ebertz was on the newer side like me, judging for the third time. They told me how the process works: First you assess the beer for what it is. You make specific statements about what is or isn’t present. You speak to the general experience of the brew. Finally you score it, and here is where you take into account the style and determine whether it is or isn’t what the brewer intended or the guideline states it should be. I was following along just fine, and grateful to see the table was littered with BJCP style guidelines as most of my knowledge of stouts was feeling hard to retrieve at that moment. The scoresheets include a judge’s email and full name; competitors are free to contact judges after they receive their scores. Chris told me about assessing the bottle, pouring (into the center of the cup with no tipping!) and walked me through the categories. aroma, appearance, flavor, mouthfeel, and overall impression. It was time to do this thing. 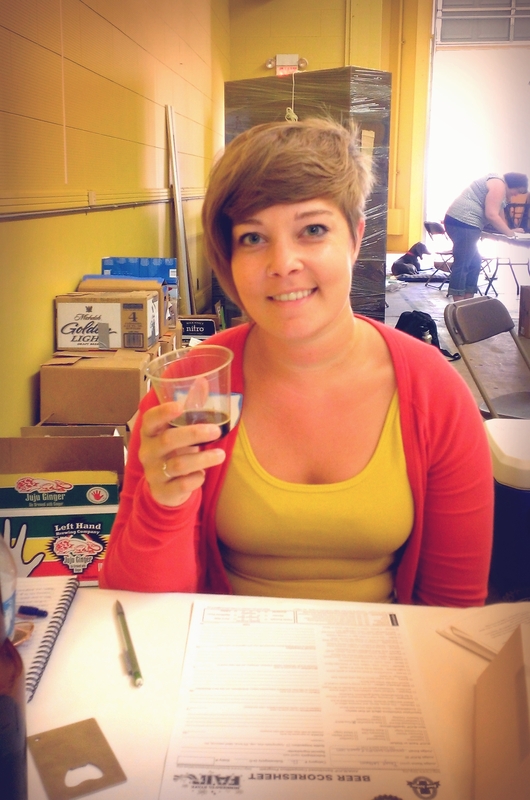 I began appraising and scoring our first beer. While Chris expertly jotted down notes and appraisals, I was just focused on honing a sensitive palate and recalling vocabulary. He had completed nearly every section and I was in no way keeping up. He was very patient, though, and we discussed our findings at the end. The beer was better than mediocre and we had both given similar scores in the low 30s. Some of our notes and comments were similar, too. My confidence began to set in and I even said out loud at one point, “so I’m NOT crazy!” I was quite proud that our scores remained similar throughout the round. Several great beers came across our table. We tried dry stouts, sweet stouts, oatmeal stouts, foreign extra stouts, and Russian Imperial stouts. Chris and I sent one sweet stout and one foreign extra on to the next round to be considered for best in show by the three experts at my table. Facetiously, I said “oh, right.” He went on to explain that oak barrels are charred, creating a different taste. It was this kind of knowledge sharing that was the best part about my day of judging. 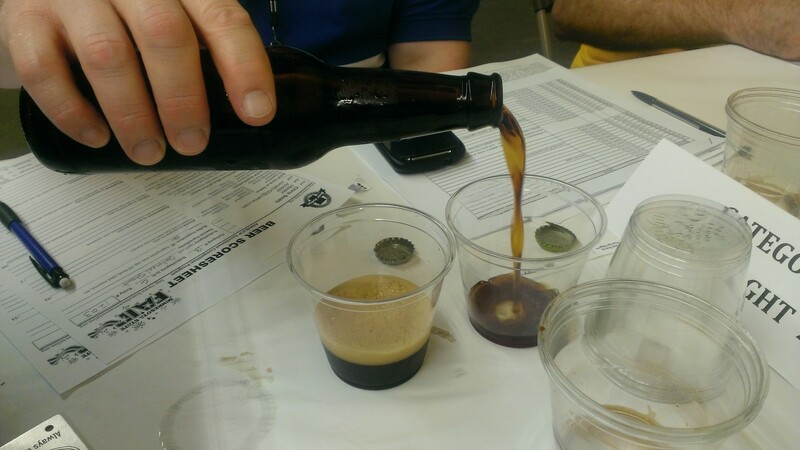 My second session was spent on porters – brown porters, robust porters, and Baltic porters. I felt slightly more confident, but when my partner didn’t show I started to panic. I was finally paired with someone else. What if I couldn’t perform in this category the way that I just had? To my relief, while it started a bit rocky with slightly more disparate scores, my partner Trevor and I hit our stride and even tasted one excellent robust porter that we both agreed we would pay for. I thanked everyone several times, and was genuinely humbled and grateful for the experience from start to finish. I felt enlightened, challenged, and supported simultaneously and I would definitely do it again. If this experience sounds interesting and fun to you, I encourage you to try it. There is no better way to enhance your palate and sharpen your skills than to drink with people more talented than you. For me, this was the right time to try this, as I have been critically drinking beer for about a year. I felt that I had some of the basic vocabulary and a gift of discernment, as some have called it. Special thanks to Primary Fermenters, Christopher Smith, Steve Platz, and Tony Ebertz, Tim and Trevor. Thanks to MN Beer Activists for encouraging this experience. I also judged for the first time at the Fair this weekend. What a great experience! It was incredibly interesting and I would recommend it to anyone who enjoys craft beer, but especially those who homebrew. You can learn so much from the experienced judges about what causes a beer to have the flaws or good qualities that you notice. It was also exciting to learn that I was able to notice things about the beers I was judging that I wasn’t expected to as a novice. I will definitely be back next year! Thank you for judging Paige! I’m glad you had a great experience! 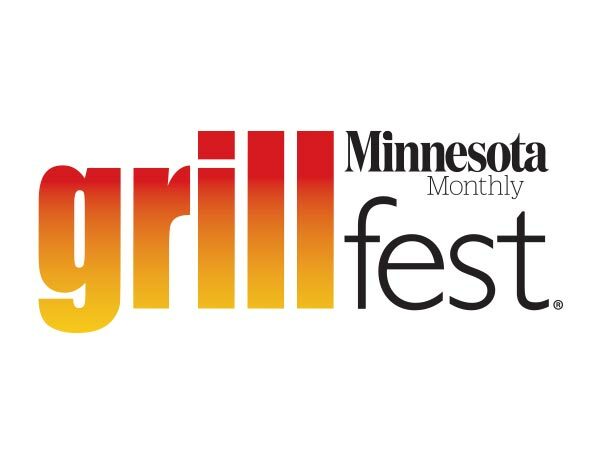 There are ample opportunities for judging in the Twin Cities and we have the best and most experienced judges around! Thanks for post! I completely agree! I’m glad you enjoyed it, too, Dave. I was very impressed by my fellow judges’ abilities and willingness to share. It was a pleasure judging with you and it’s apparent you are well on your way to becoming an outstanding judge. Thank you for helping us judge! It is always great to meet new judges and hear about their experiences. We couldn’t have competitions like this without all the great volunteers.